Not all are willing to accept this reality but growth in global business will be firmly determined by what Indra Nooyi calls a shift from "pricing to cost" to "costing to price". 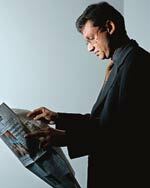 At the core of what the PepsiCo CEO was articulating - at AdAsia 2011, a regional advertising event held at New Delhi - was the big shift in business growth away from developed markets. Shepherding this shift are countries like India. Many large multinational corporations, or MNCs, see India as the gateway into economies that are slowly making the transition to viable markets. But selling in these markets means developing products that find demand among buyers who survive on as less as two dollars a day. Hence, the need for products and services that are developed completely anew - starting backwards from a price point that will be affordable in these markets. The role of India in such development has been looked at through different lenses and catalogued in recent years. The New York Times's Tom Friedman touched upon India-centric innovation in 2005 in his The World is Flat best-seller. Vijay Govindarajan of Tuck School of Business in eastern US unveiled his view of "reverse innovation" in a September 2009 Harvard Business Review article. Navi Radjou of Judge Business School at the University of Cambridge has illustrated his concept of "indovation" - innovations developed in India to serve a large global audience affordably - for some years now. Four Wharton professors, led by Peter Cappelli, wrote The India Way in early 2010. 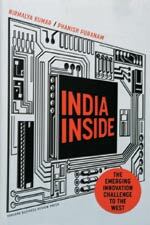 India Inside is the latest addition to this growing list of India-centred books on innovation. As the name - a take-off from the Intel Inside tag line - suggests, India Inside by London Business School professors Nirmalya Kumar and Phanish Puranam is about the growing influence of India in the global innovation and development ecosystem, the impact it will have on MNCs and Indian companies, the options before policymakers in India and elsewhere, and the road ahead. The book is intellectually superior to the likes of The India Way, which turned out to be poorly conceptualised and executed. Kumar and Puranam have done a good job of abstracting from disparate elements on the ground. The result is a hypothesis that the research and development, or R&D, and other work being shipped to India may seem low-end today, but it is only the beginning of a wave. This has several implications. For an American or European MNC, it raises questions around how its R&D division is structured today - centred in the West, led by westerners - and how that will change as more Indians get hired. For policymakers in India, the question is whether the country can produce the talent needed to staff these positions. Despite the research that has gone into it, there is that something missing for an avid reader on innovation. For one, India Inside could have been written much better; it makes for jerky reading in its current form. Messers Kumar and Puranam take potshots at Friedman, but a fraction of the NYT columnist's story-telling abilities - even though The World is Flat is cerebrally flaccid - would have resulted in the book getting a better grip over the reader. The central message of the book is that you may think the work being done in India today is outsourcing of the bottom end of R&D jobs but that is not where it will stay. It will grow. The MNCs will have more Indians, change their R&D structure, move jobs... But for policymakers, it is more complex - this story will not come through for India unless we scale up the skills of our people. We call this 'spillover effect'. It is already happening and will increase when Indian companies start spending more on R&D and poach from the MNC R&D teams. The Viagra and iPad kind of innovations are far away. You need a process in place where you make several kinds of innovations and one will succeed like the iPad. For a Viagra to happen you will need around $1 billion and that is far away. But India is ready for a Google or Facebook-like innovation - a software guy with a brilliant idea is all that is needed.